When setting up a new payment method, it is always a good idea to place the payment method in test mode and do a few tests. 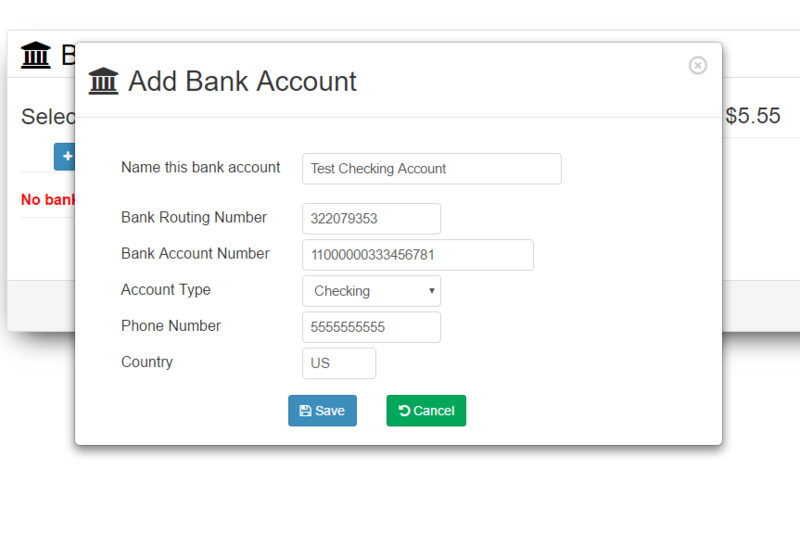 In order to test transactions with QuickBooks Payment EChecks method, you need to setup the test bank account with some specific settings. These can also be found in their developer docs. If you don&apos;t use the specific data required for testing, you will likely receive an error message like "Invalid Amount". Using a test customer with an open balance, click the "Add Payment" button. When you continue, you will be prompted to enter a bank account. You need to set some specific setting here as well when testing. Enter the routing number and account number as follows. Click "Save" and then proceed to complete your test payment.